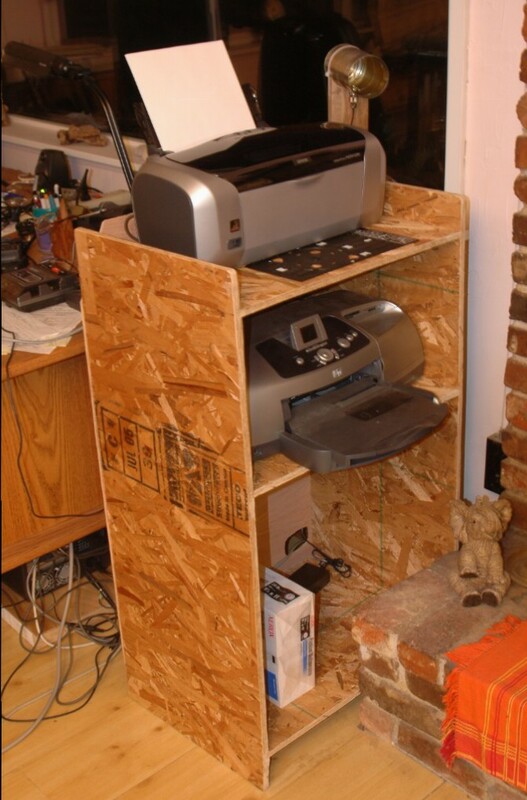 I needed a printer cabinet. So I slapped one together from stuff I had around the house. 1/2″ OSB and 1/4″ oak plywood. I may get around to painting it, but for now it’s a natural. Click on the picture for a larger view. Construction is routed dados for shelves with glue and staples. This is a claim for my technorati blog. I didn’t write this. Credits are in the file. I tried to contact the author, but his site is down. I have tested this with CM 1.4.3 and it works. To install, copy it to the coppermine base directory. if http://www.yoursite.com/coppermine/rss.php alone is used, then some random pictures are presented. Edit the file to change the number of thumbs in the feed. The script is RSS 2.0 compliant and works with feedreader. Apologies to the author if he doesn’t like me passing this on. I found it in his coppermine integration for joomla. Here are the links for RSS feeds for my site. Right click and “copy shortcut” and then paste into your feed reader. Clicking on these links will get you pages of XML. WordPress RSS feed links can be found in the meta menu on the site. Both the feeds for posts and for comments can be found there. Photo gallery feeds are: viewer descretion is advised. SMF Forums – RSS2 compliant feed for the boards. I’m going to log this problem just so we remember it. 12 Jan 2006 – I noticed that writing a post never returned. And I thought it was a server problem. 13 Jan – In discussions and rooting around in the options I discovered the removing the pingomatic link in options cleared up the problem. Looked like Pingomatic was down. I could not reach it’s website at http://pingomatic.com, but the service would answer a TCP/IP ping. 14 Jan – I checked again and ping answered the website, so I put info for my site into that page. And then I re-installed http://rpc.pingomatic.com in the write options and the post worked correctly. I’ll log other issues with pingomatic here. The new SMF based boards are live on the site. The old boards are still available, but are locked. I’m investigating Simple Machines Forums as an upgrade from phpBB2 for the forums for this site. Seems like I never can leave well enough alone. In looking around, SMF seems much more modern and has attachments built in. We’ll start with some attractive themes and then probably convert some of the previous themes to SMF, just to get our hands dirty. Already digging in, I needed to debug the converter for phpBB2 to SMF. Stay tuned, SMF is pretty cool. Here’s a fix that I’ve made to the phpBB2_to_smf.php converter. I’ve done a conversion from phpBB2 2.0.18 with attachments to SMF 1.1RC2 and it appears to work. I would not say that it was thoroughly tested. The memberlist failed without the fixes that I’ve included. There were field name changes in the SMF members table. im_xxx changed to pm_xxx and this caused a silent failure in the INSERT’s. Also the version number needed to be changed from 1.0.5 to 1.1.99 [maybe , but this works.]. Along with SlashDot, and Weather.com, you should consider adding OmniNerd to your frequent reading list. The articles are extremely intelligent and informative. Another weapon in the battle to stay informed! !